Annathered's back from her bento creation station again. 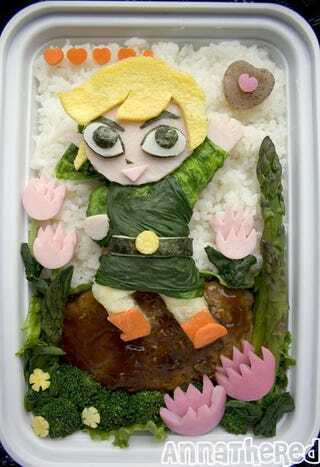 She breaks her rule about 3D bentoing to give us a 2D Wind Waker incarnation of Link. It's time for lunch on the east coast, right? Anna's flickr page for this creation gives a point-by-point annotation. Bon appetit!